There are some incredible dwarf plants that have been introduced over the years, and the selections just keep on coming. Why are breeders working on bringing dwarf plants to market? Many properties may have less space to work with, so using dwarf plants will allow you to include more plants with different textures, different color and better form not to mention much more selection for that smaller space. 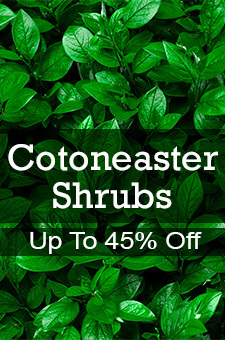 Dwarf plants will maintain their size with less pruning to keep it that way. Dwarf selections have less space between leaves and nodes, so the new growth expands slower. Pruning shrubs at the wrong time of the year can eliminate flowering so there is less chance to removing flower buds if you don’t need to prune as frequently. Using dwarf plants allows you to plant smaller versions of large, showy and fragrant plants up near the house and patio to see and smell the beauty of plants (like Lilacs, Mockorange, Viburnums, or Crape Myrtle)– instead of planting them far away from the home. Bringing smaller versions of some incredible plants up close and personal where they can be enjoyed. Many times, dwarf flowering plants will have the same amount of flowers, so these new dwarf introductions are not sacrificing color or fruiting. Everyone is looking for color for today’s landscapes. Dwarf plant materials allows you to let the plants take on their natural form without destroying that natural form by pruning (or incorrect pruning we should say). It also allows them to flower freely and produce the fruit or berries that makes them so attractive in your landscape. The use of Dwarf plants has changed the way we design our landscapes too. Large rows of Privet hedges for instance used to separate us from our neighbors. Those hedges needed lots of maintenance to keep them looking good and pruning them throughout the season. With today’s new introductions of dwarf plants, you can pick a plant that matures to a particular size and use that plant as a hedge that does not need any pruning to maintain that desired mature size. Brilliant! Also, old design concepts included a row of evergreens across the front of a home. Those evergreens kept on growing and eventually needed yearly pruning and ended up looking like a box or a ball from having to be pruned year after year. That kind of a front landscape really dates a home. Everyone wants color. Using dwarf Gardenias, dwarf Azaleas, Dwarf roses, Dwarf grasses incorporated with some colorful perennials (again dwarf selections) and you have a colorful landscape that reflects todays updated style. Dwarf trees are cherished by municipalities for their use beneath utility lines, not to mention the time and money saved from having to prune these smaller growing trees. Dwarf forms (including weeping forms) of ornamental trees bring a whole group of highly desirable specimen plants outstanding for design elements. Dwarf and weeping forms of crabapples, flowering cherry and plum trees, Redbud and an endless and growing selection of trees that can be used like a piece of sculpture in the landscape. Dwarf forms of flowering trees are all the rage and commonly used in all new landscapes.